Watch the life of Mei Hua [Truth Matters: DxE Investigators Expose "Humane" Fraud at Whole Foods], a young hen we rescued from a manure pile, shows us the grim reality of cage-free farms. When the public hears what cage-free actually means, they are outraged. It's our duty to show them this truth... and rescue the victims from the horrors of animal agriculture. Seven reasons the move to cage-free is harming hens like Mei. 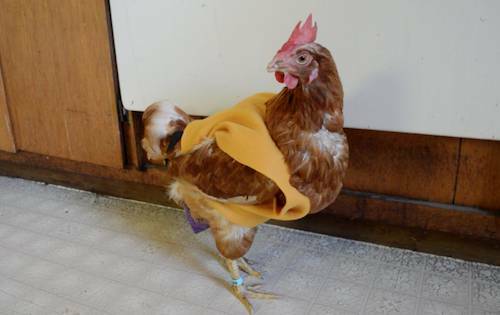 Mei Hua, a hen rescued from a cage-free farm, keeping warm in a sweater. Her life was not always so good. 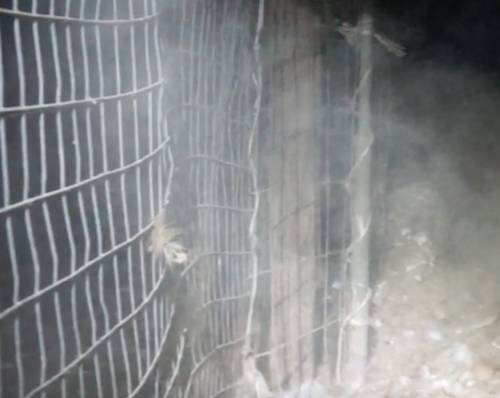 In mid-February, Direct Action Everywhere (DxE) exposed egg giant JS West for confining hens in cruel cages despite marketing their farm as “humane.” The company responded by committing to go “cage-free” with its 1.5 million hens. But we’re not celebrating. Why? As activists with special expertise in investigating both caged and cage-free farms, here are 7 reasons the cage-free transition is hurting hens. 1. Hens die in cage-free farms at shocking rates. 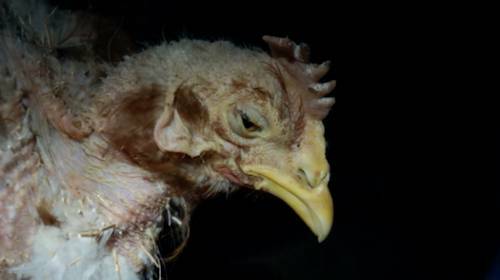 A grisly dismembered wing that DxE found in a cage-free farm. The consensus in the literature shows birds suffering to death in cage-free farms at many times the rate in caged facilities. The causes of death in cage-free farms are particularly brutal — e.g. cannibalism, maiming, or being buried alive. 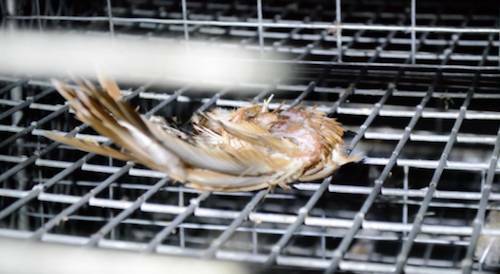 Our investigators were stunned by the number of dying birds they found from the moment they walked into a cage-free farm. Disease travels quickly in the crowded barns. When a fight breaks out, it starts a massive wave of limbs and bodies smashing against one another throughout the entire enclosure. The weakest birds are the first to die. 2. The air in cage-free farms is poison gas. Cage-free farms have ammonia levels far higher than caged facilities — so high, in fact, that they violate the industry’s own welfare standards. In cage-free barns, frantic birds kick up feces and ammonia as they struggle to move about. Many of our investigators were forced to leave because they could not see or breathe. The poisonous gas not only burns the birds’ eyes and lungs but also increases the risk of respiratory disease. 3. Hens live in constant fear and stress. One of the many dying birds we found in a cage-free farm. A “meta study” of hen stress levels showed cage-free facilities performing worse in 8 out of 11 trials. The violence, filth, and poisonous air cause unspeakable suffering. 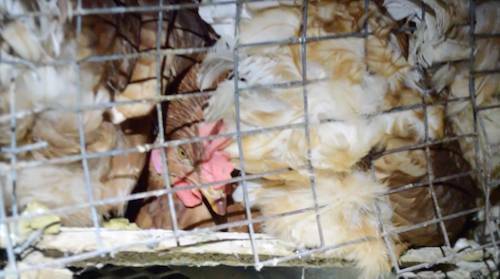 We saw more defeated birds — hens who had given up on life — than we could possibly rescue. In many instances, hens were literally buried alive in their own feces. 4. "Cage-free" farms have replaced cages of wire... with cages of flesh. Farms marketed as “cage-free” admit to giving birds less than one square foot of space, forcing each bird to fight through massive, violent crowds every time they want to eat, drink, or find a place to sit. Our first sight upon entering a certified humane, cage-free farm was a pile of birds stuffed against the wire enclosure. The hens on the bottom of the pile were literally being crushed to death. This is the inevitable result when large numbers of birds are intensively confined in the same enclosure. 5. Cage-free is making a violent industry more profitable... and bigger. A recent analysis found that cage-free eggs cost 30 cents more per dozen to produce -- but retailers charged 86 cents more to consumers. The difference becomes profit that fuels the industry’s growth. Stores are able to charge significantly higher prices for cage-free eggs, and demand is booming. An influential agricultural portal notes that most cage-free farming is new production that has not reduced the number of "conventional" eggs. Rather, cage-free is being added on top of it. That means more eggs... and more hens suffering in horrendous conditions. 6. Cage-free is part of the industry’s fraudulent marketing strategy. Petaluma Egg Farm, the cage-free farm DxE investigated in early 2015, was sued for consumer fraud and forced to settle because it was falsely advertising its eggs as free range. But the vast majority of egg farmers get away with humanewashing scot-free. A lawsuit in 2011 alleged the egg industry was conspiring to use false humane standards to jack up the prices of eggs. JS West, one of the defendants, was forced to pay millions of dollars to settle, but most farms are never held accountable. "Cage-free" is part of a fraudulent marketing strategy to make nightmarish violence seem "humane" and convince consumers to buy more animal products. 7. Cage-free falls far short of what animals deserve. Mei Hua would have died a brutal death if the DxE Open Rescue Network had not arrived on the scene. 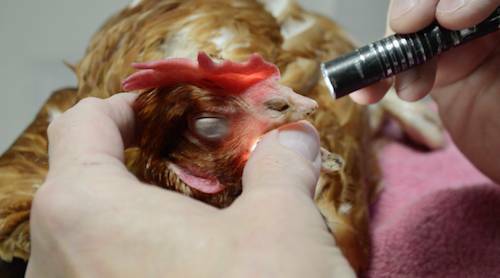 When we celebrate cage-free, we risk satisfying the public with this horrific reality. Watch the life of Mei Hua [Truth Matters: DxE Investigators Expose "Humane" Fraud at Whole Foods], a young hen we rescued from a manure pile, shows us the grim reality of cage-free farms. When the public hears what cage-free actually means, they are outraged. It's our duty to show them this truth... and rescue the victims from the horrors of animal agriculture. Want to learn more? 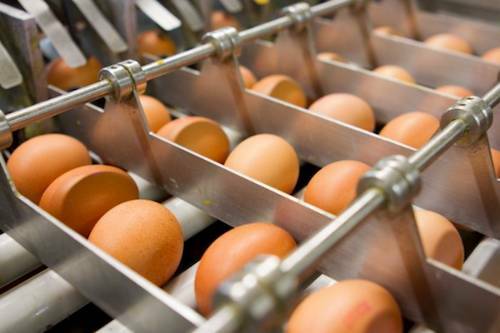 Read our detailed analysis and literature review of cage-free eggs. Outraged by what you've read? Give up eggs, get involved with a local DxE chapter.